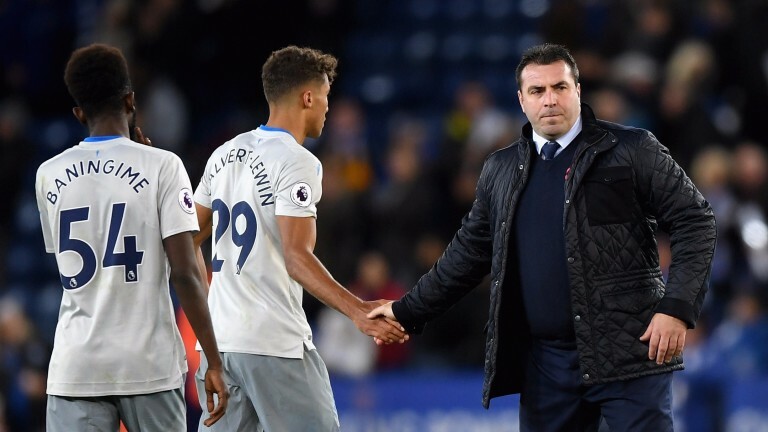 David Unsworth remains joint-favourite at 5-2 alongside Sean Dyche with Hills to become Everton’s next permanent manager despite losing his opening Premier League match 2-0 against Leicester at the King Power Stadium. Jamie Vardy and Demarai Gray did the damage in the first half to make it the perfect start for new Leicester boss Claude Puel. The result left Everton 18th in the Premier League and 12-1 with Betfred and Sky Bet to be relegated. Brighton and Southampton earlier played out a 1-1 draw at the Amex Stadium. Glenn Murray’s header cancelled out Southampton’s opener through Steven Davis. Girona caused one of the upsets of the Spanish season after the Catalans sent the home crowd wild with a 2-1 victory over Real Madrid. Real, who are eight points behind La Liga leaders Barcelona, led through Isco but second-half goals from Cristhian Stuani and Cristian Portu turned the game in favour of the 12-1 shots.